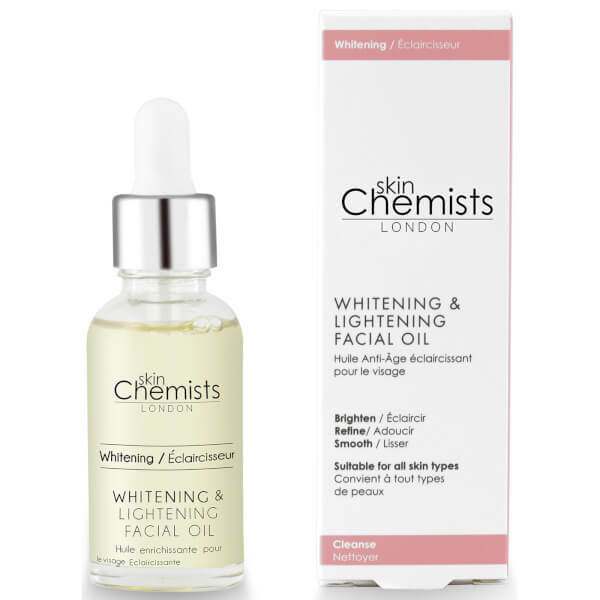 Create a balanced, brighter complexion with the Whitening and Lightening Nourishing Facial Oil from skinChemists London. 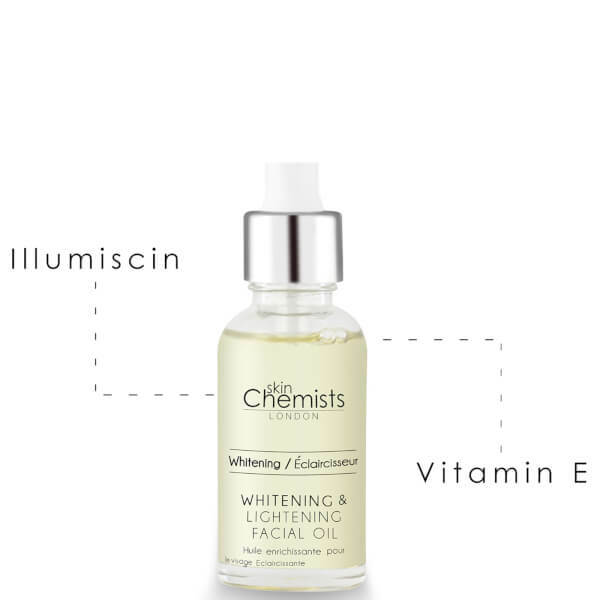 The easily-absorbing oil is enriched with Illumiscin to reduce the appearance of age spots and even the skin tone, and Vitamin E to restore moisture and essential nutrients. 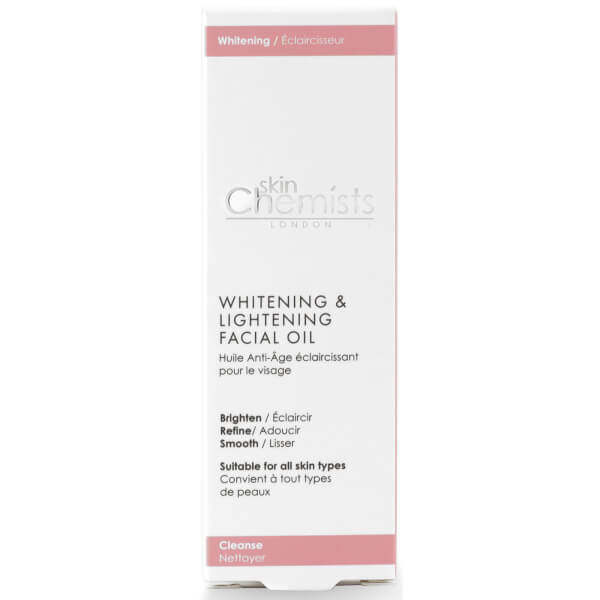 The formula helps to prevent the production of melatonin and lipofuscin pigments, which create sun damage and age the skin prematurely. 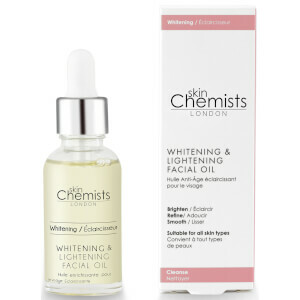 The result is hydrated, youthful-looking skin that gives out a visible radiance. 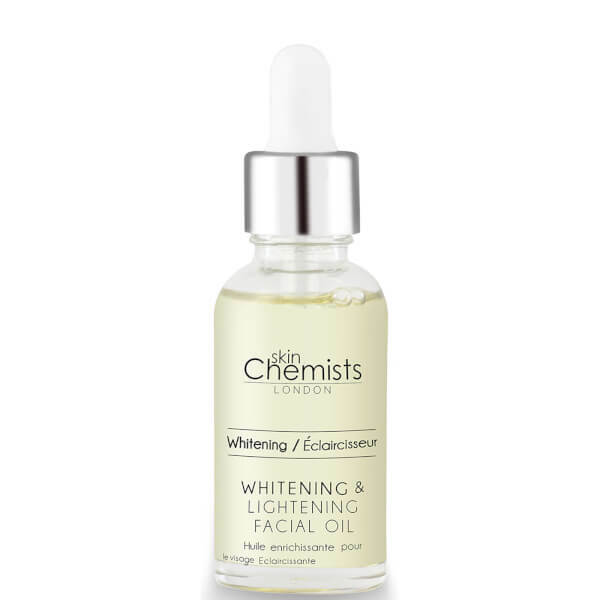 Aqua (Water), Butylene Glycol, Almond Oil PEG-8 Esters, Olive Oil PEG-7 Esters, PEG-40 Hydrogenated Castor Oil, Glycerin, Benzyl Alcohol, Parfum (Fragrance), Phenoxyethanol, Disodium EDTA, Tocopheryl Acetate, Dehydroacetic Acid, Benzyl Salicylate, Ascorbyl Glucoside, Olea Europaea (Olive) Fruit Extract, Zinc PCA, Hexyl Cinnamal, Limonene, Ethylhexylglycerin, Ascorbic Acid, Citronellol, Linalool.